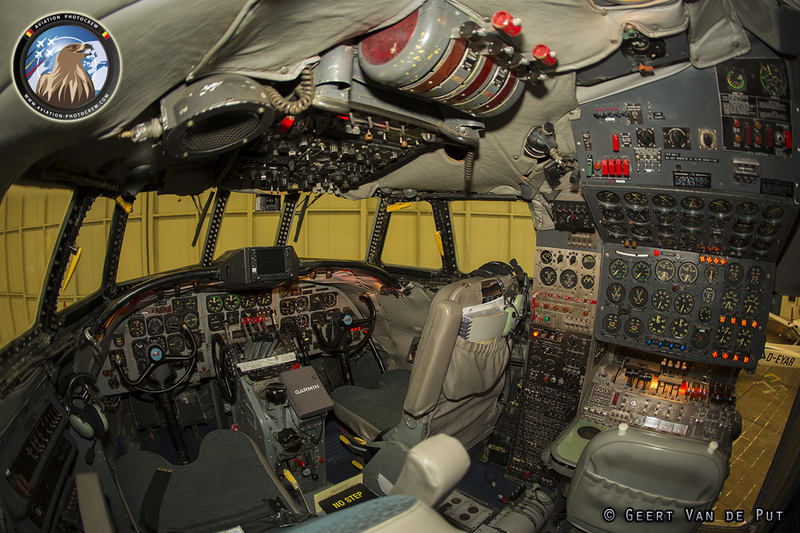 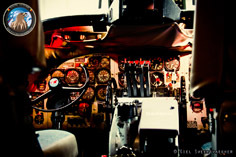 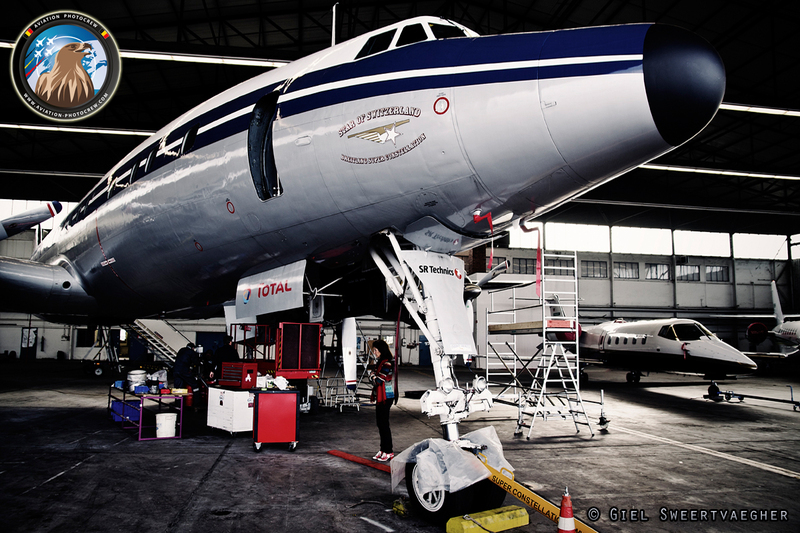 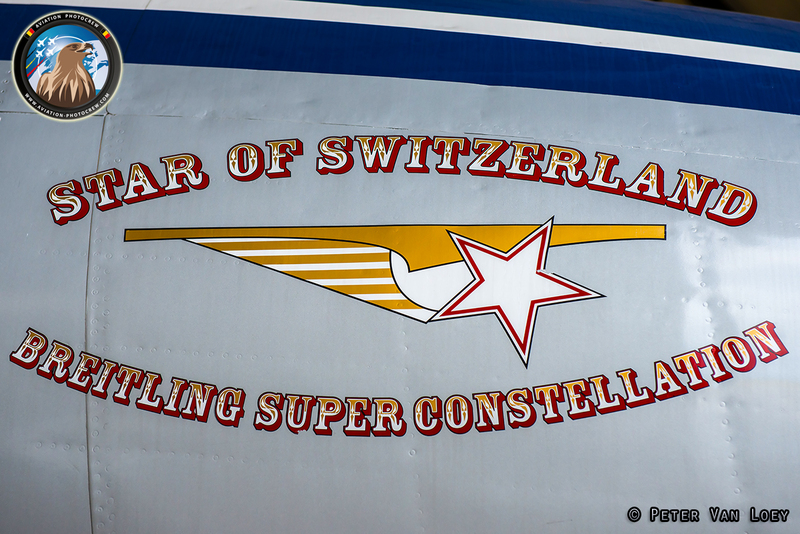 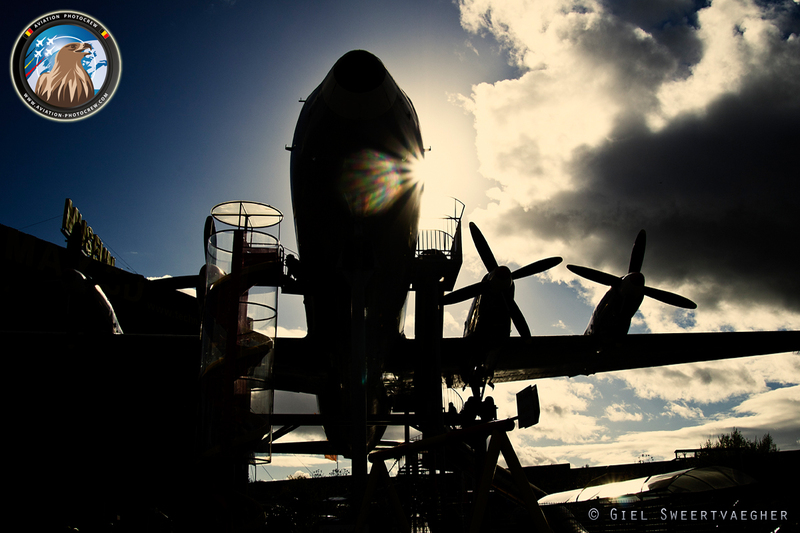 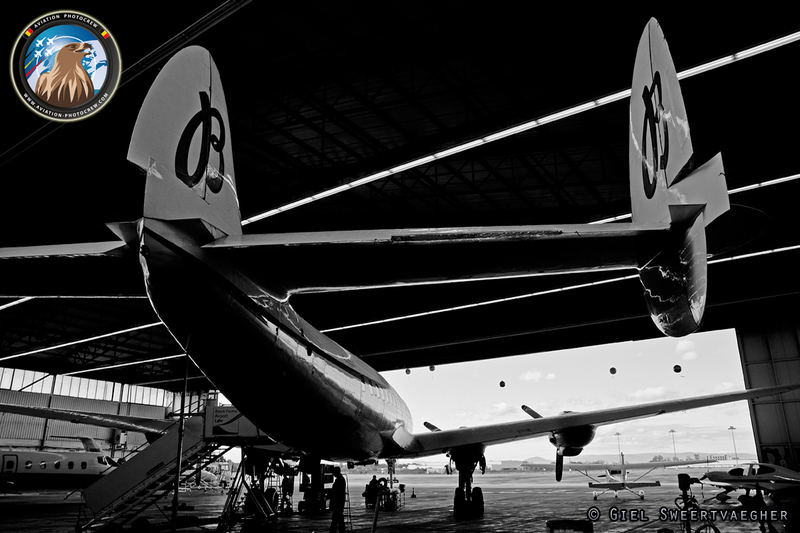 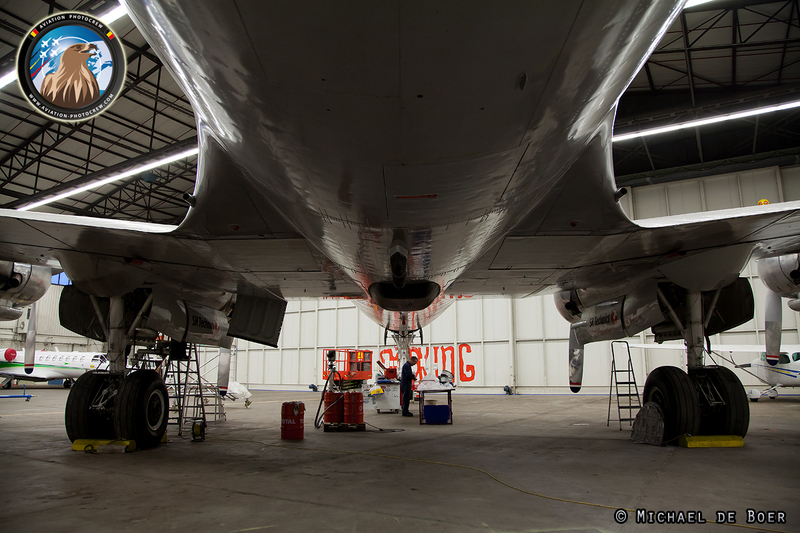 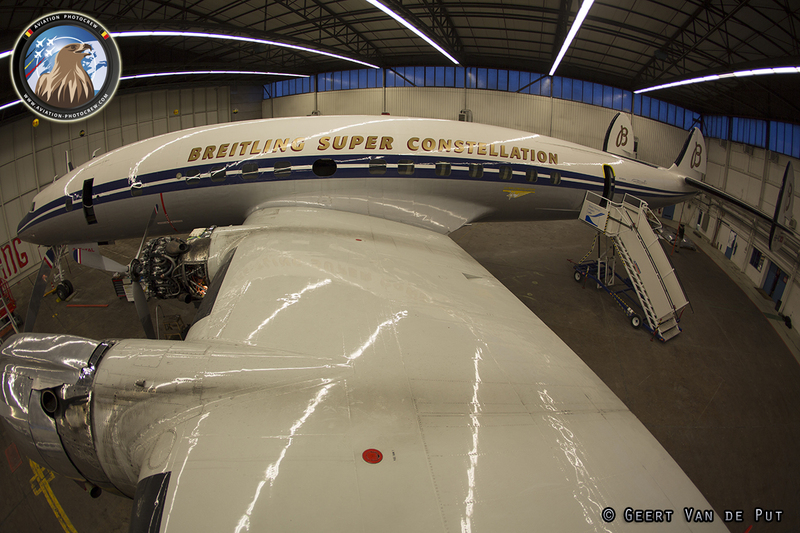 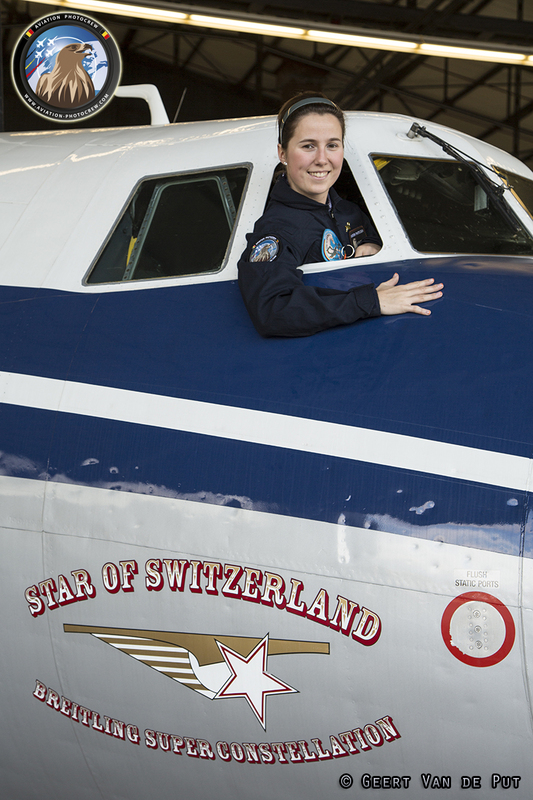 The Breitling Super Constellation is one of the most elegant classic aircraft flying around. 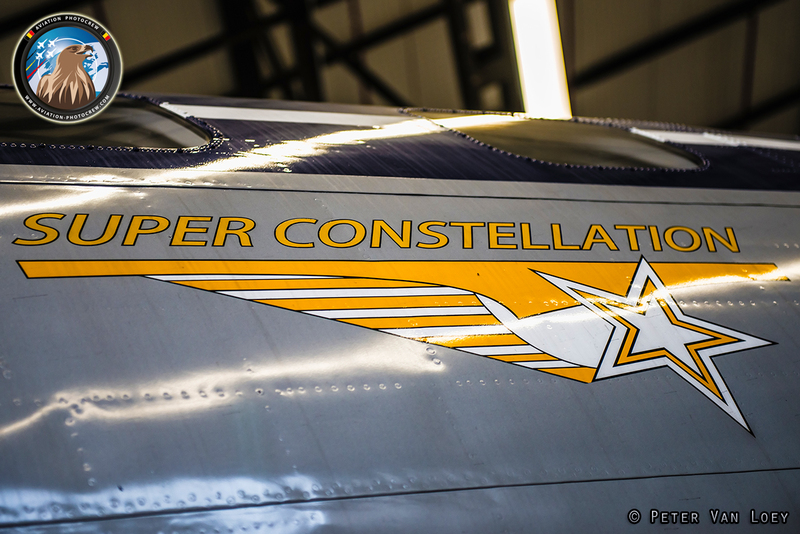 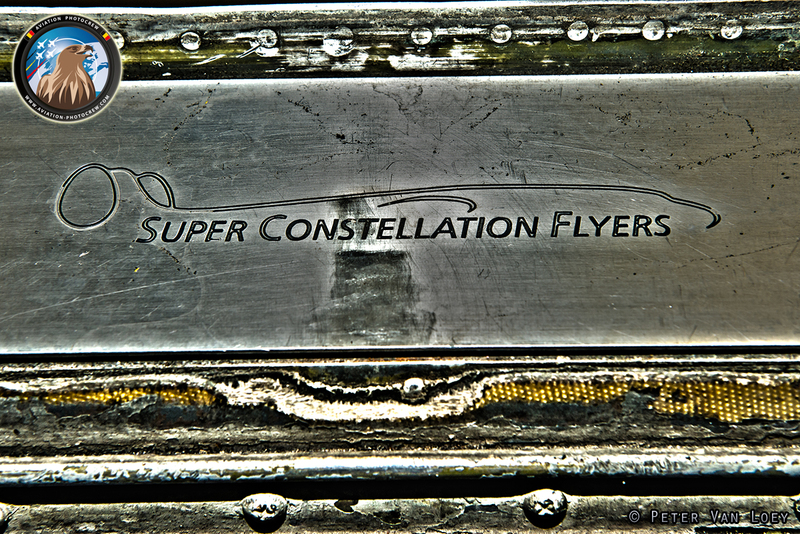 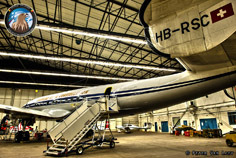 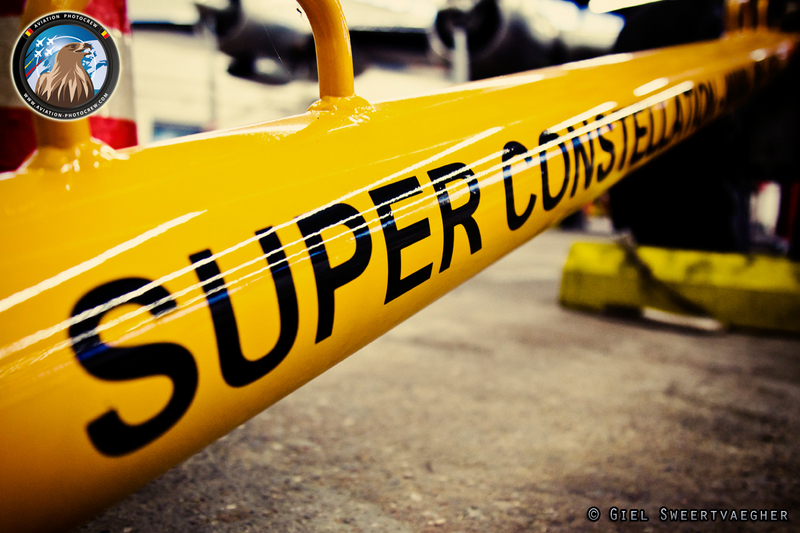 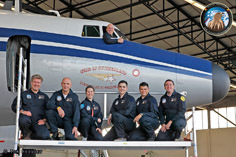 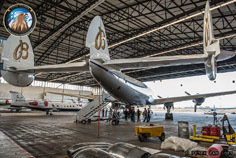 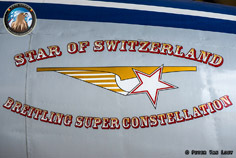 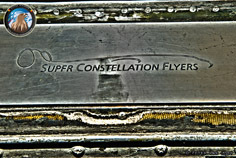 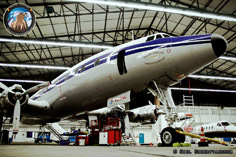 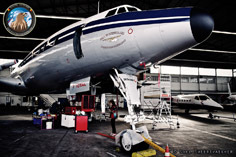 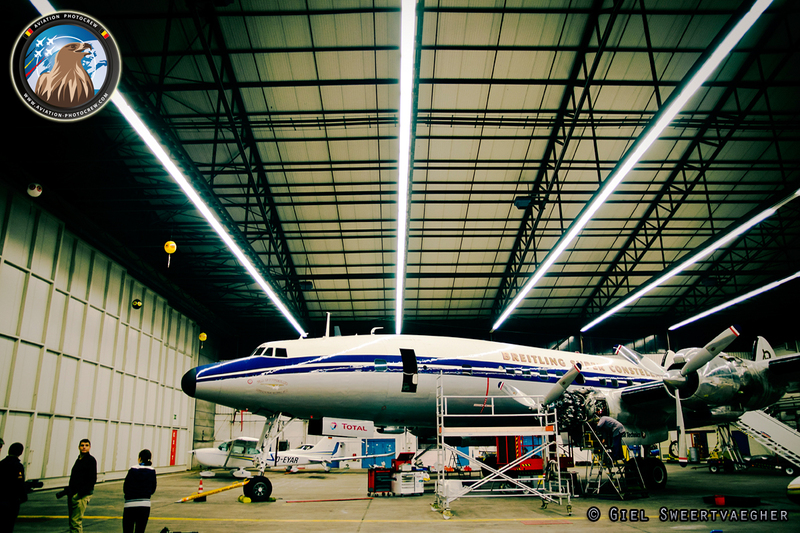 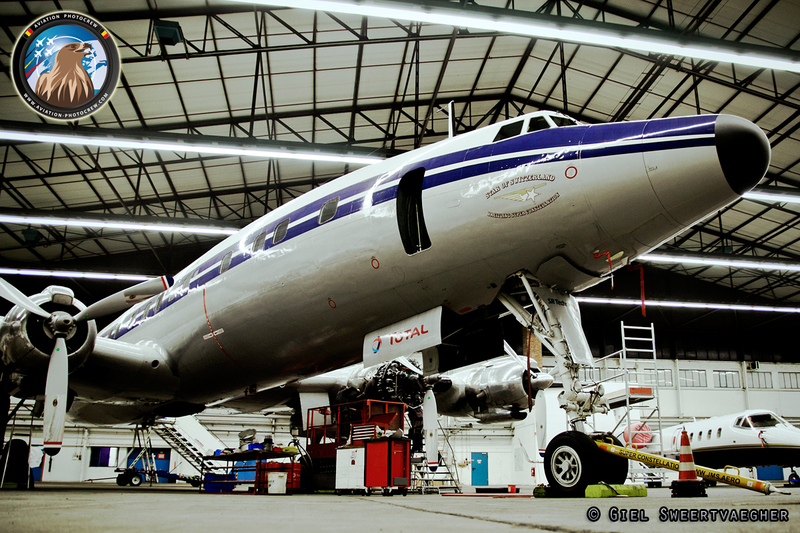 The Super Constellation Flyers Association is the operator of the only example of this magnificent passenger aircraft in flying conditions in Europe. 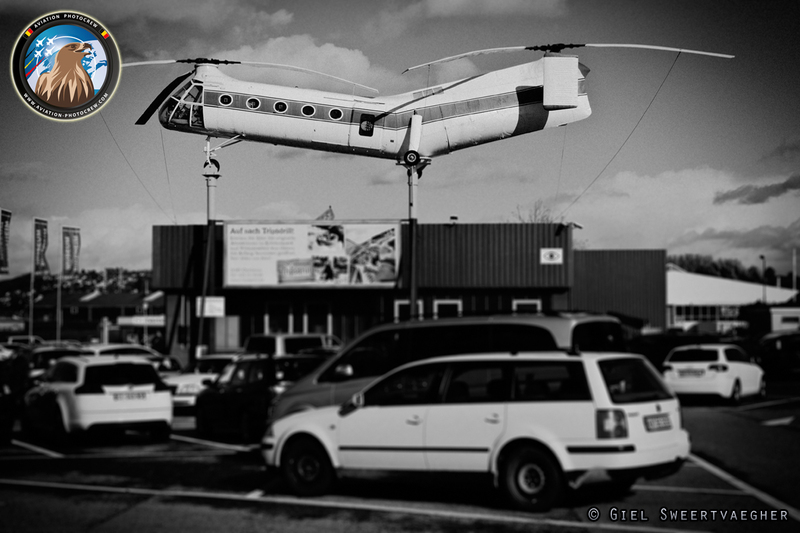 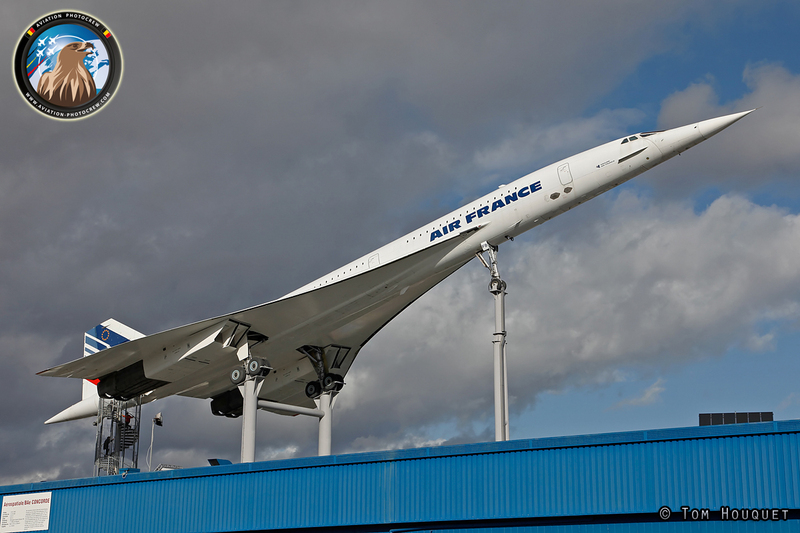 It arrived in the European skies in 2004 after a successful ferry flight from the USA. 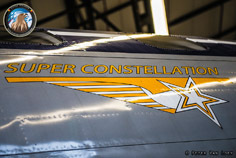 Since then it has been a very welcome guest at numerous events throughout Europe pleasing thousands of aviation fans with her presence in the skies. 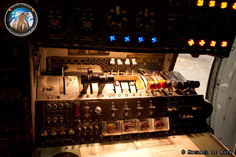 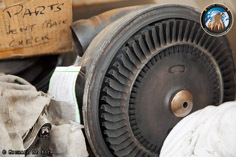 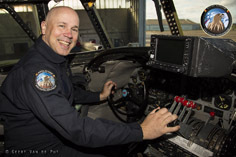 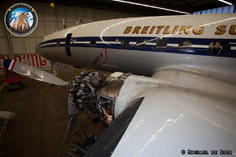 The last years the organization has been plagued with technical difficulties on the Connie with corrosion and engine problems. 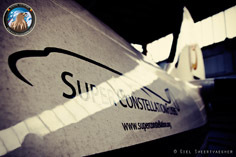 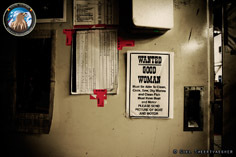 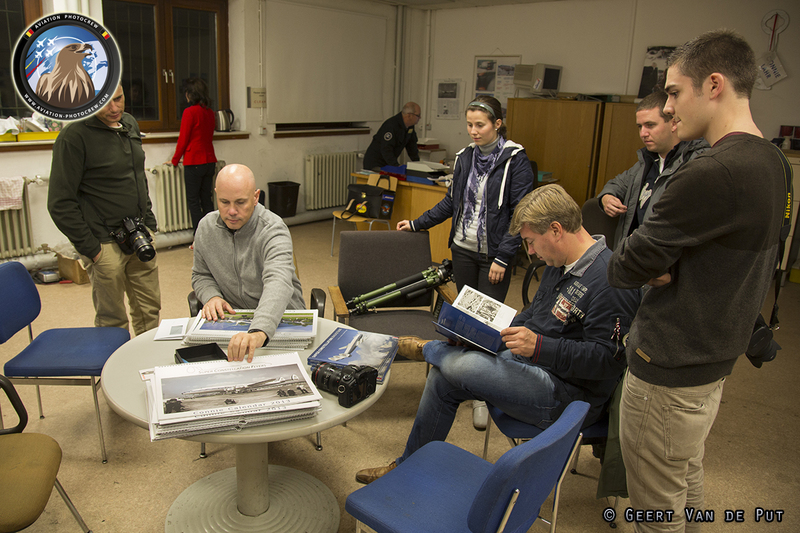 But thanks to the great dedication of the team, they were able to find solutions for the problems. 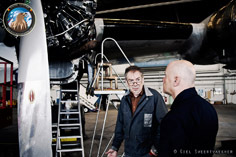 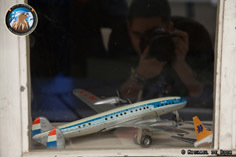 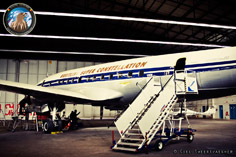 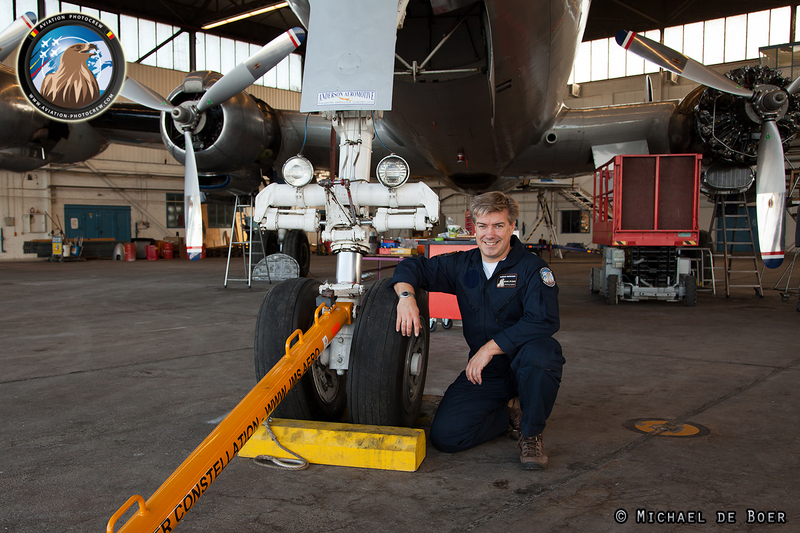 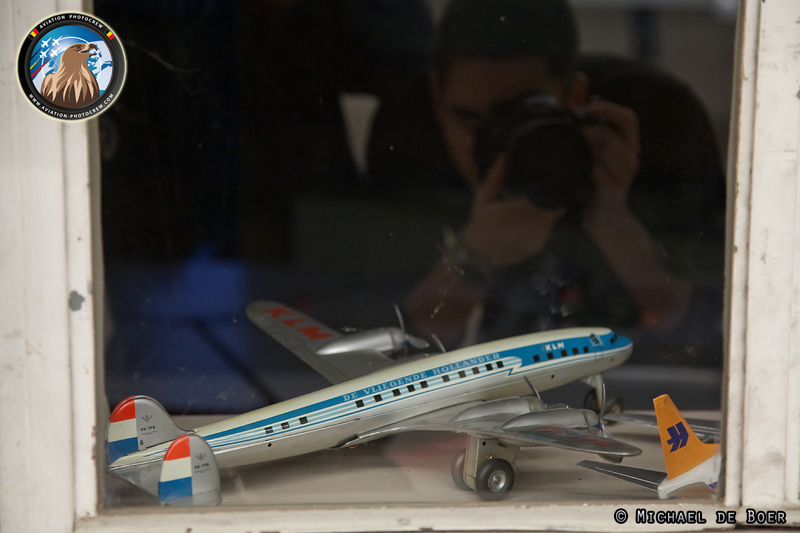 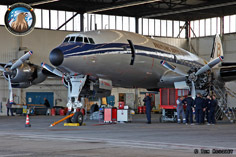 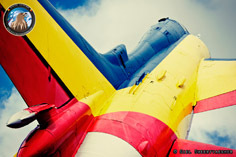 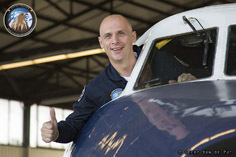 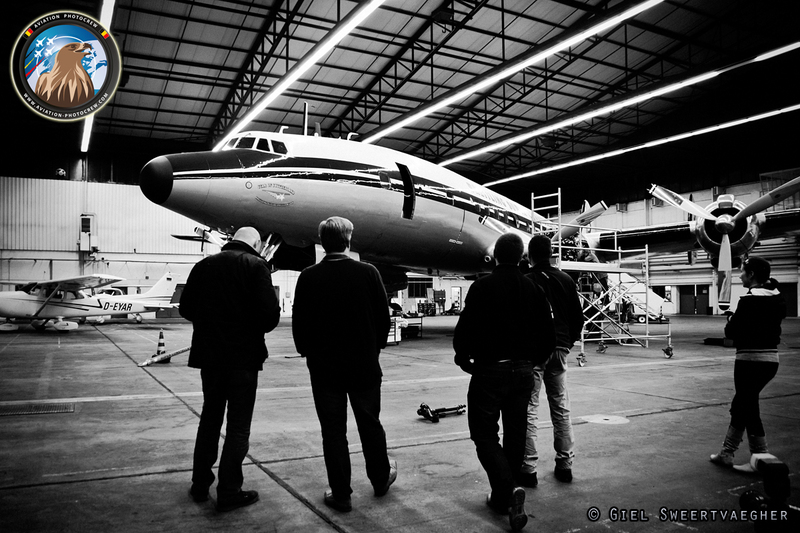 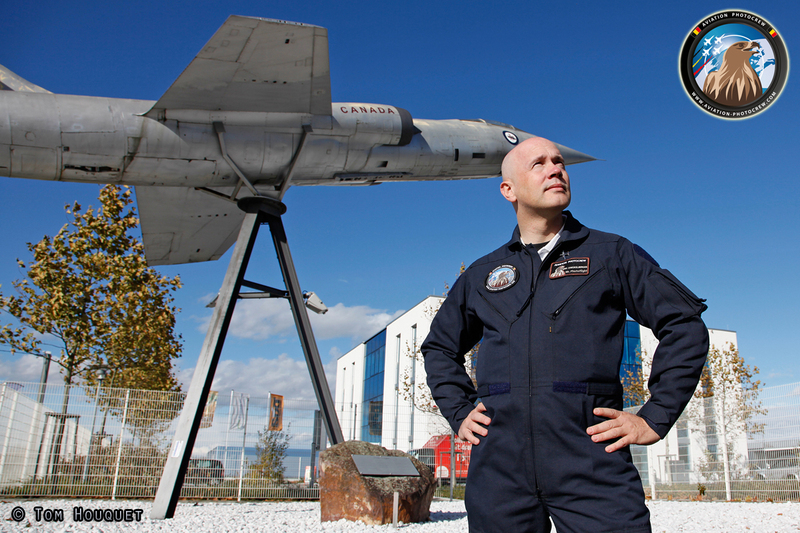 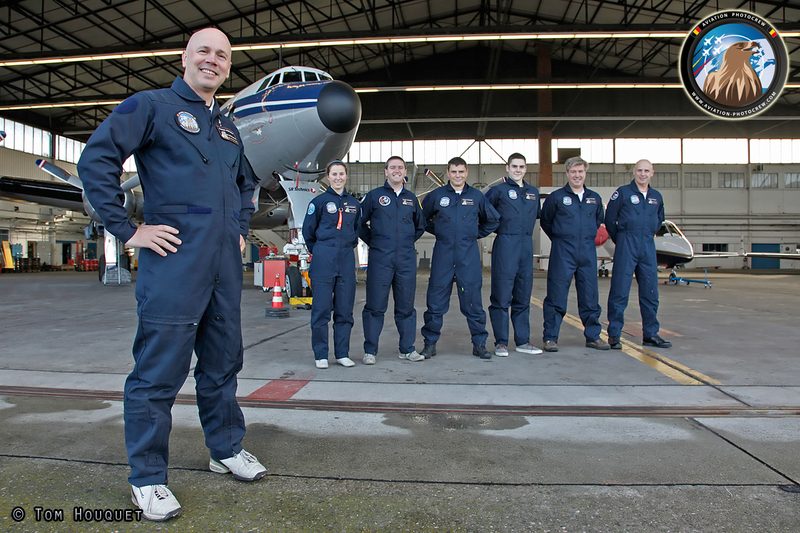 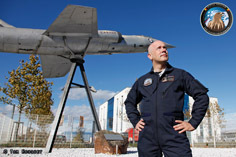 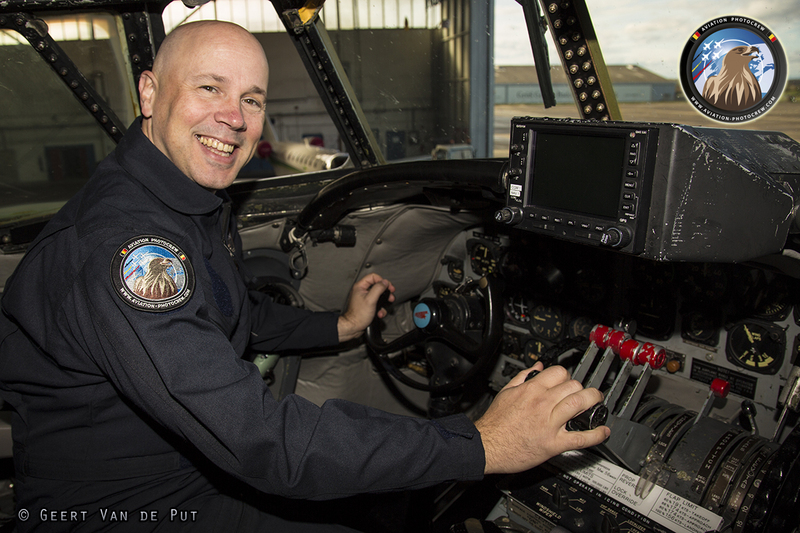 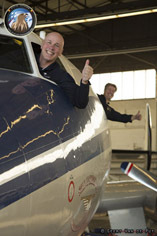 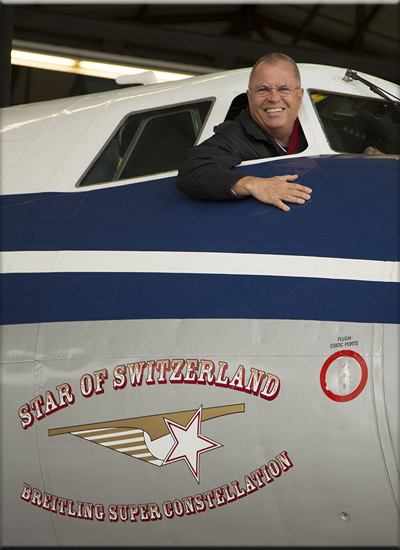 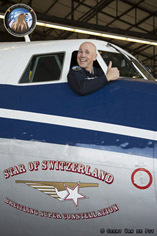 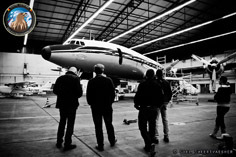 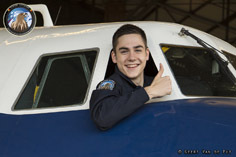 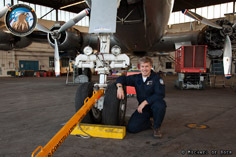 It is Eric Coeckelberghs personal dream to have the Connie visiting Belgium, which was planned to take place during the 2012 edition of the Photoflying Days at Malle. 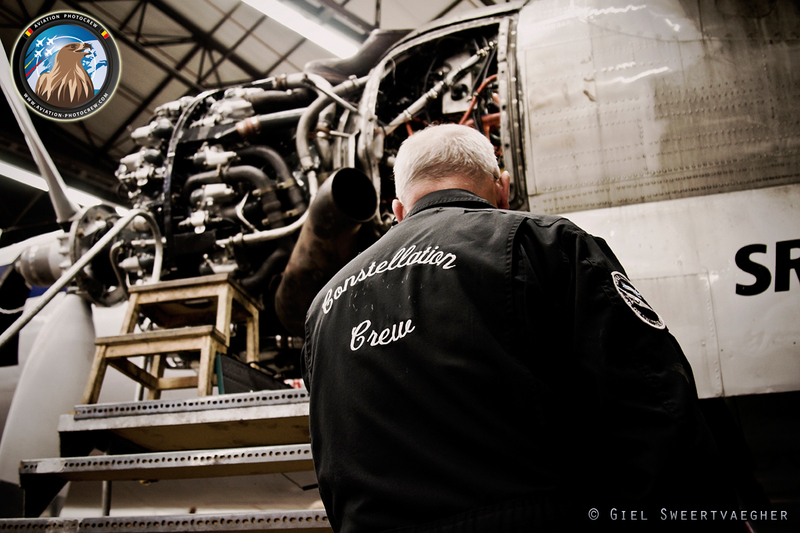 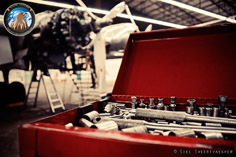 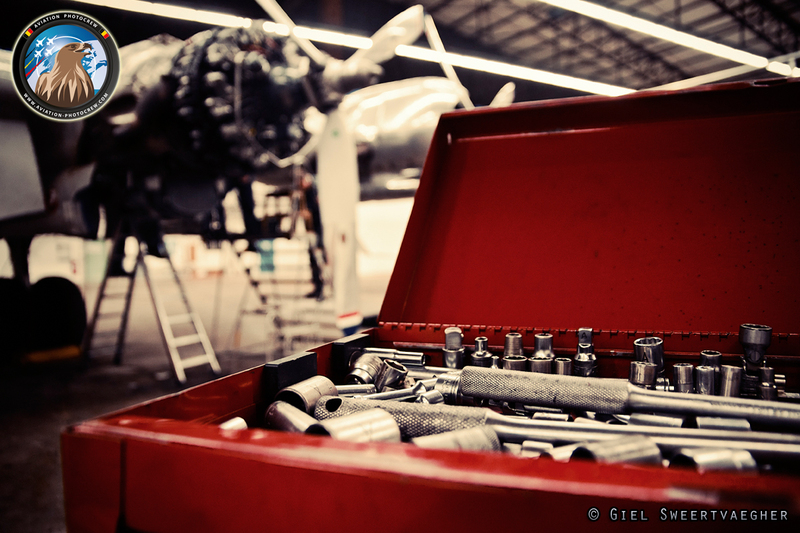 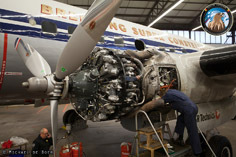 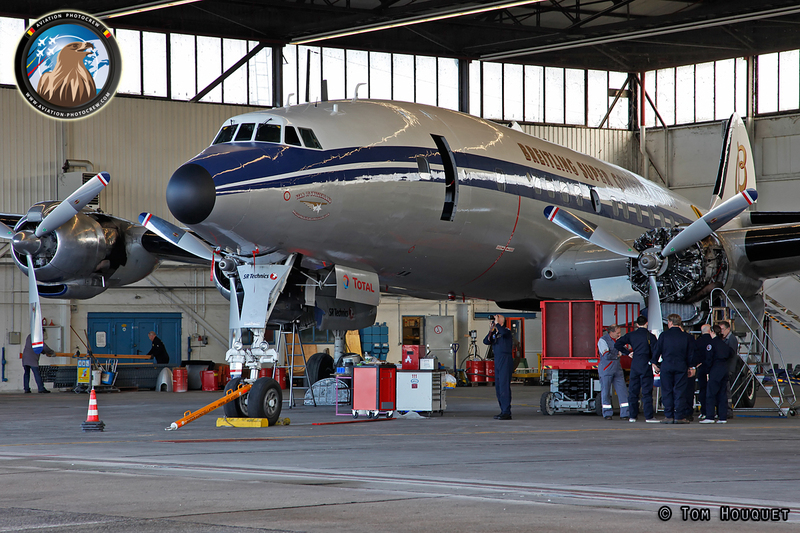 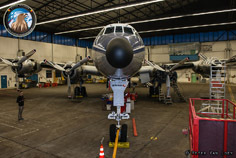 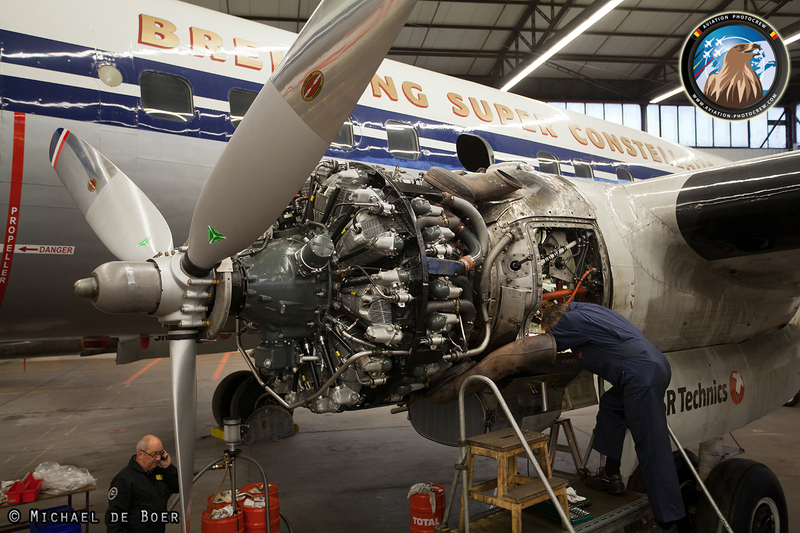 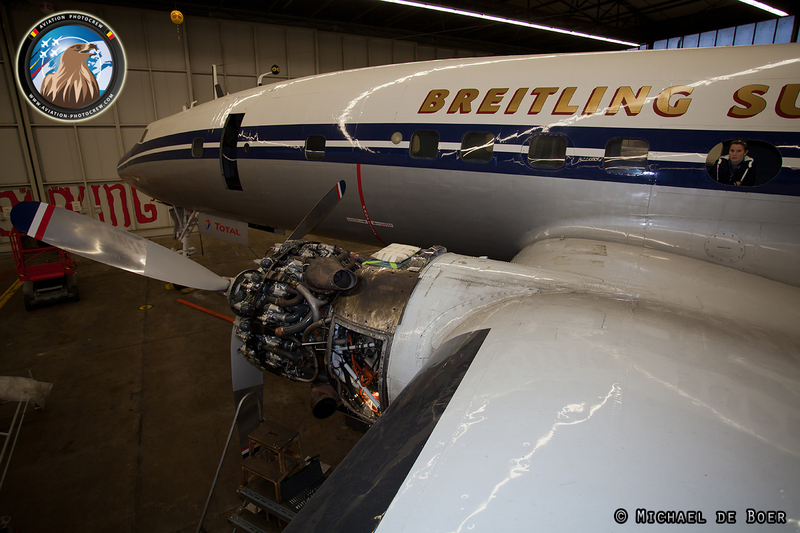 But unfortunately despite the great preparation by both the Aviation Photocrew and the Super Constellation Flyers Assosciation to fly the Connie over to Belgium, they had to cancel the visit due to engine problems. 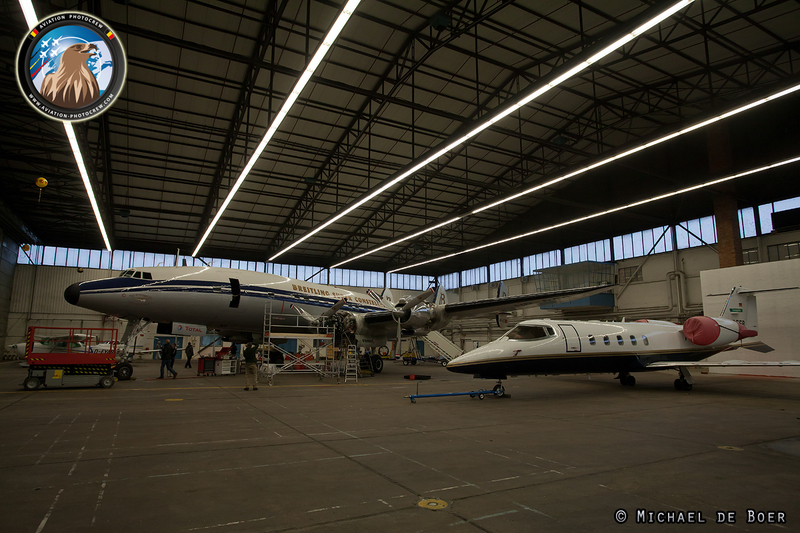 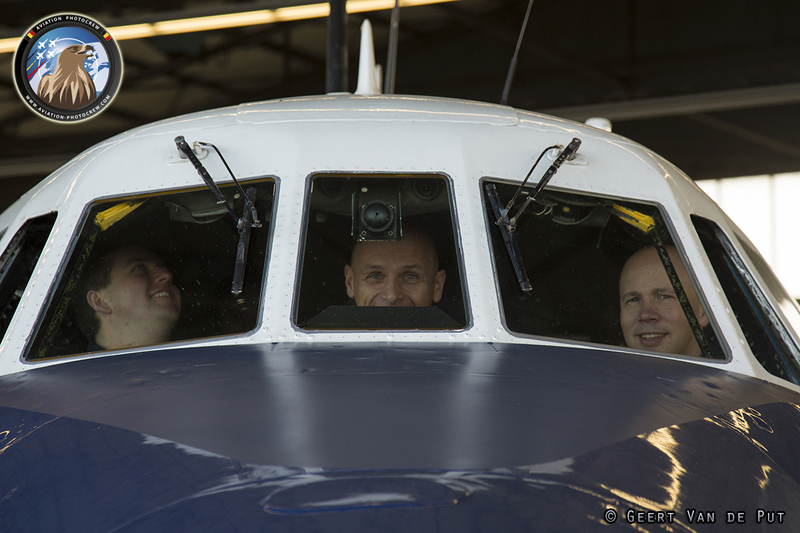 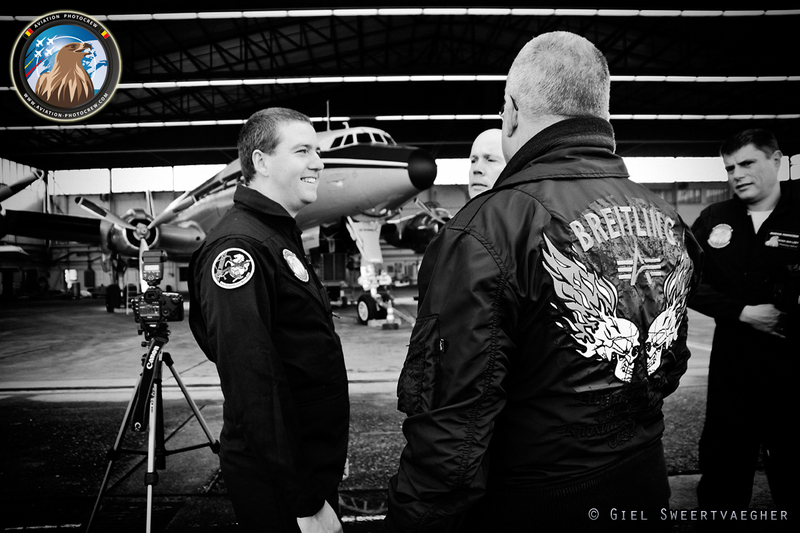 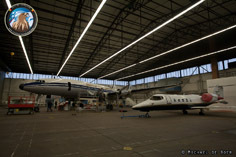 As a guest of honor, chief pilot Ernst Frei invited the Aviation PhotoCrew to come over and have a look at the magnificent aircraft at its temporary homebase of Lahr airport in Germany. 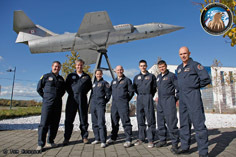 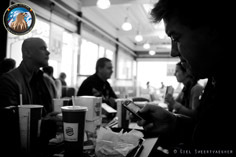 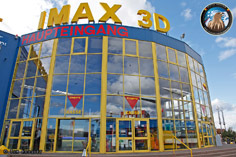 It was an ideal occasion for the whole crew to have a teambuilding weekend together. 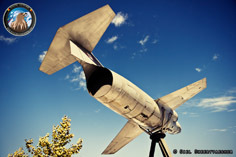 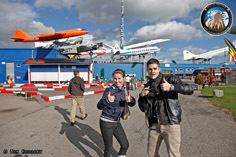 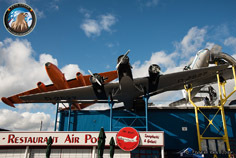 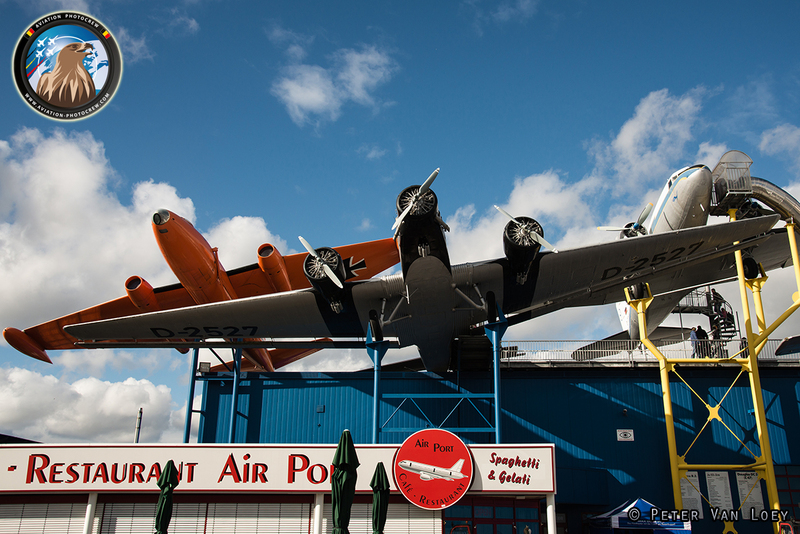 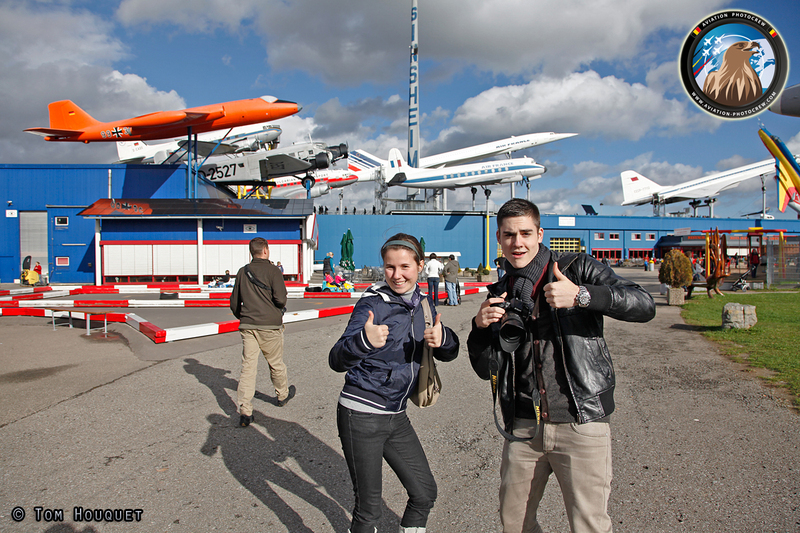 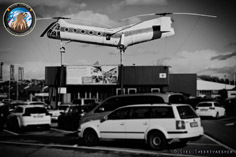 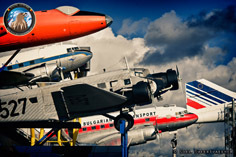 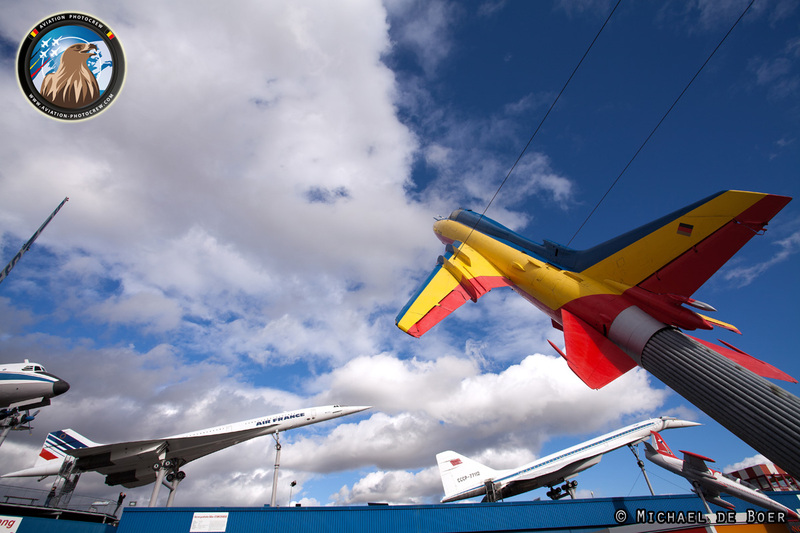 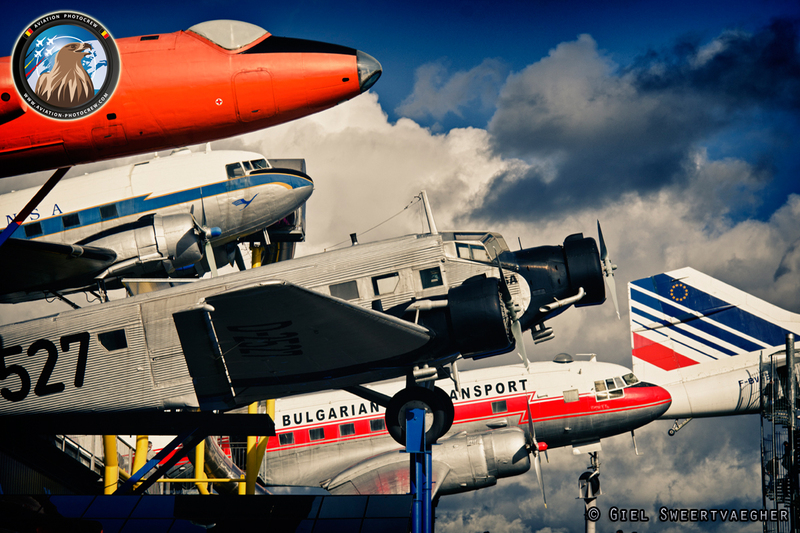 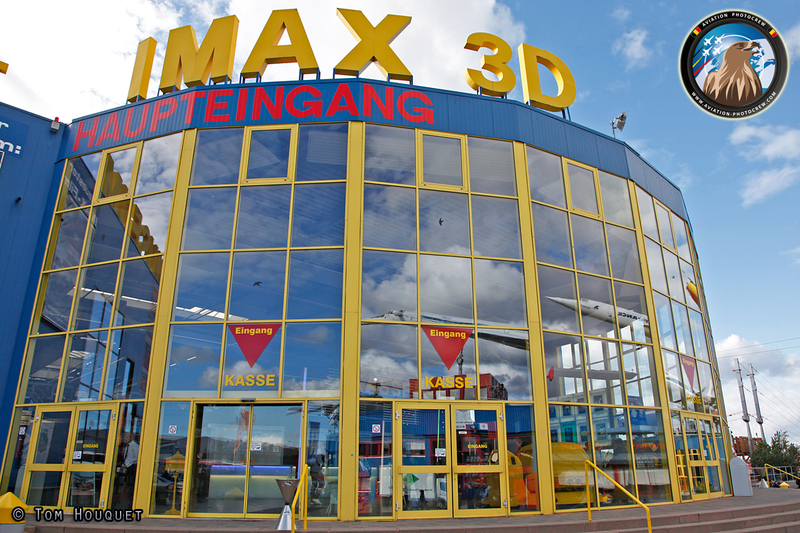 On the way to Lahr, a lunchstop was made at the Sinsheim Technik museum which has a great selection of preserved aircraft displayed on a very attractive way. 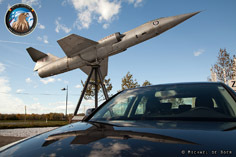 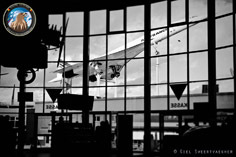 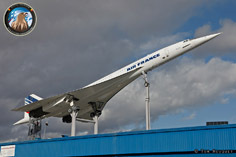 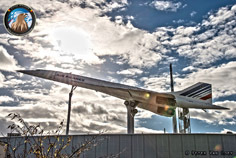 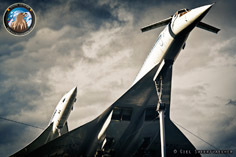 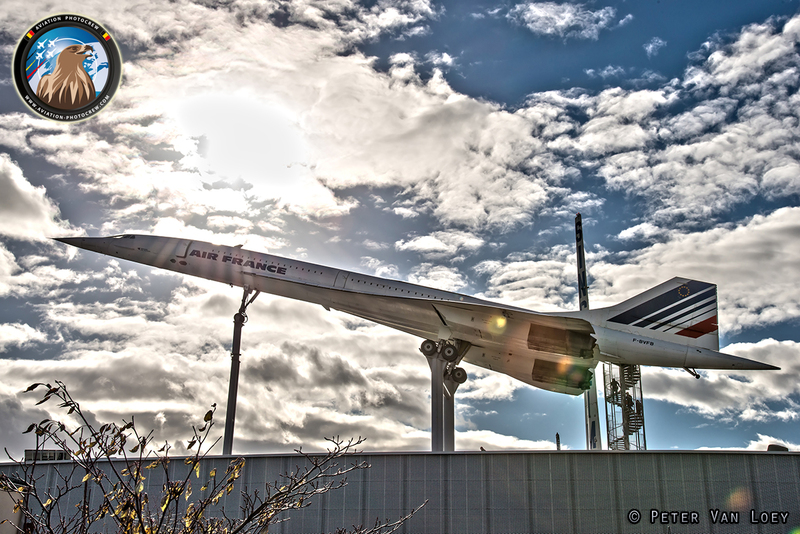 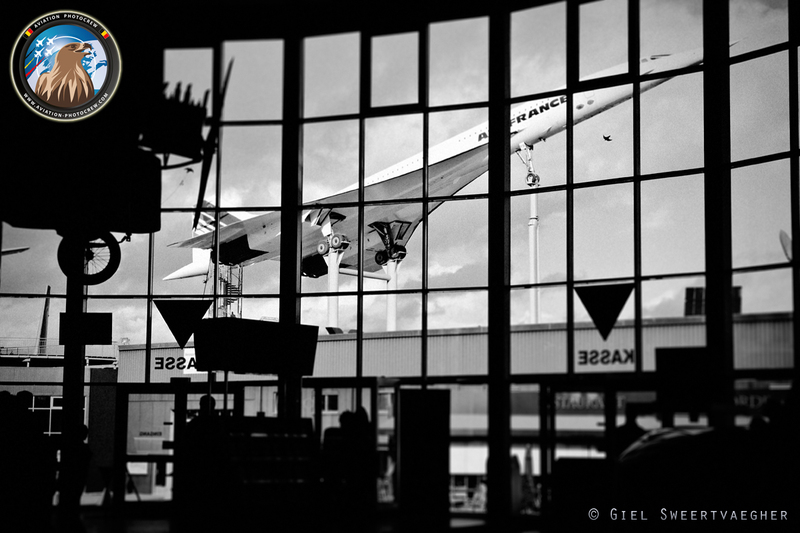 Eye catchers are the Concorde and the Russian counterpart, the Tu-144 mounted next to each other on top of the roof. After a quick lunch, the long route was finished and we arrived at the former Canadian Forces base of Lahr where we were kindly welcomed by Ernst and his lovely wife. 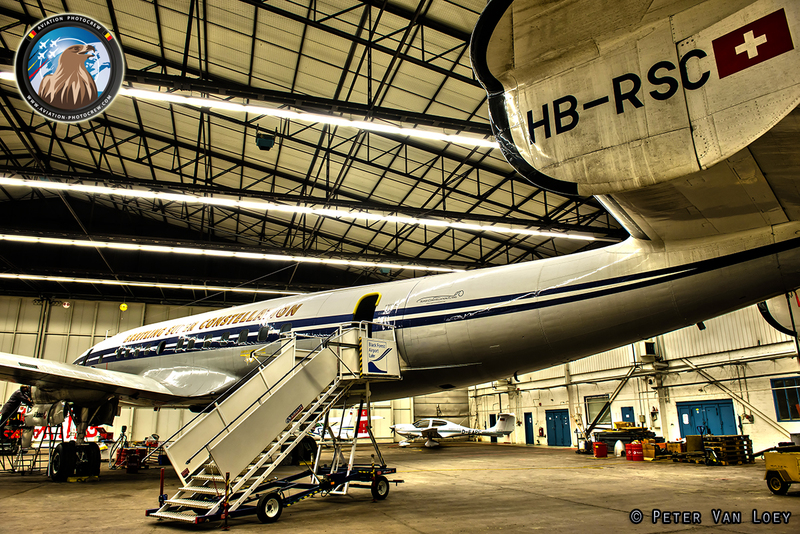 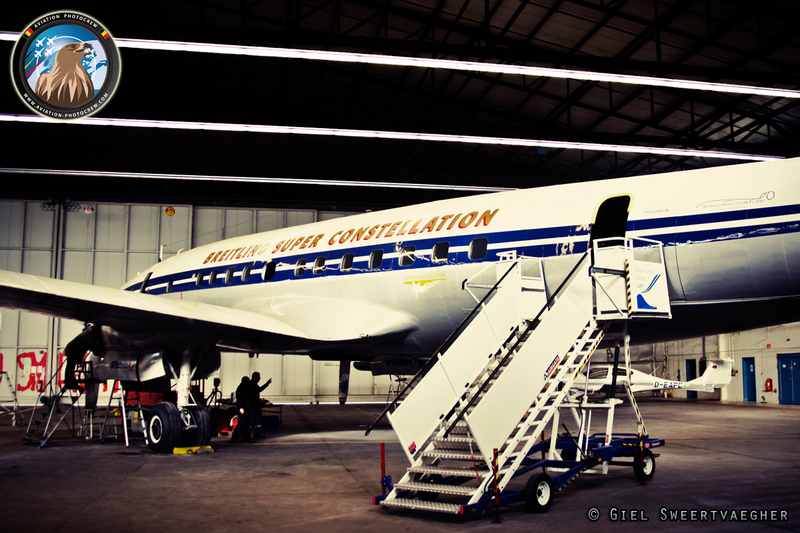 When the hangar doors went open, the magnificent Connie was in sight. 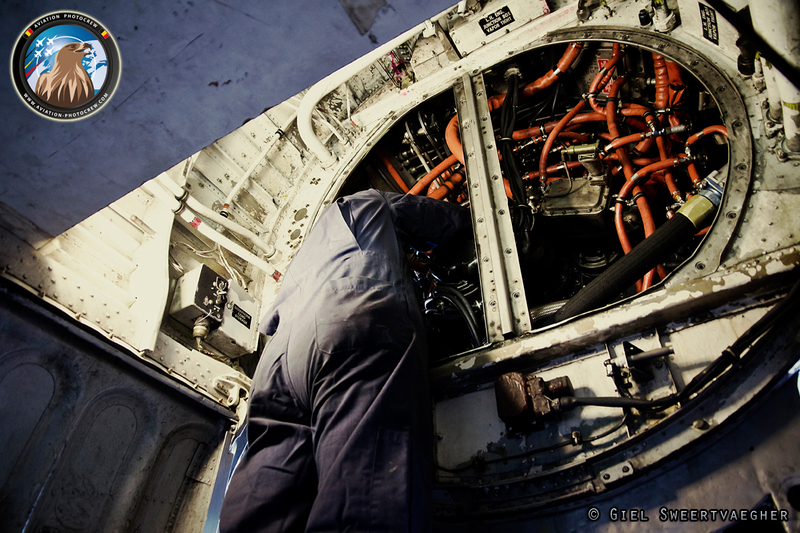 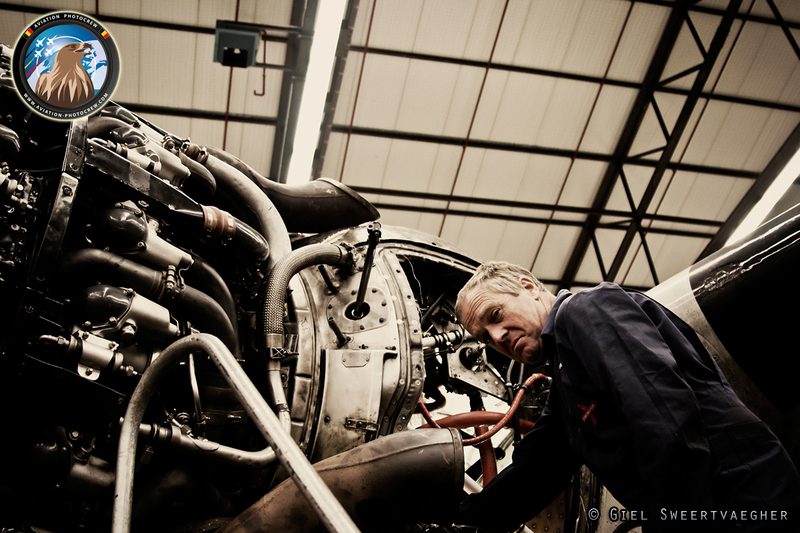 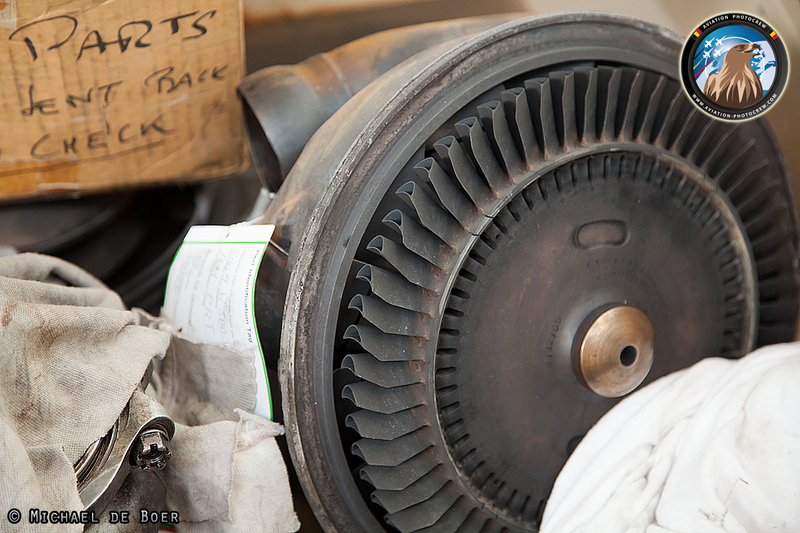 The technical crew were working hard to finish off the works on the number 2 engine which had recently been installed after being overhauled. 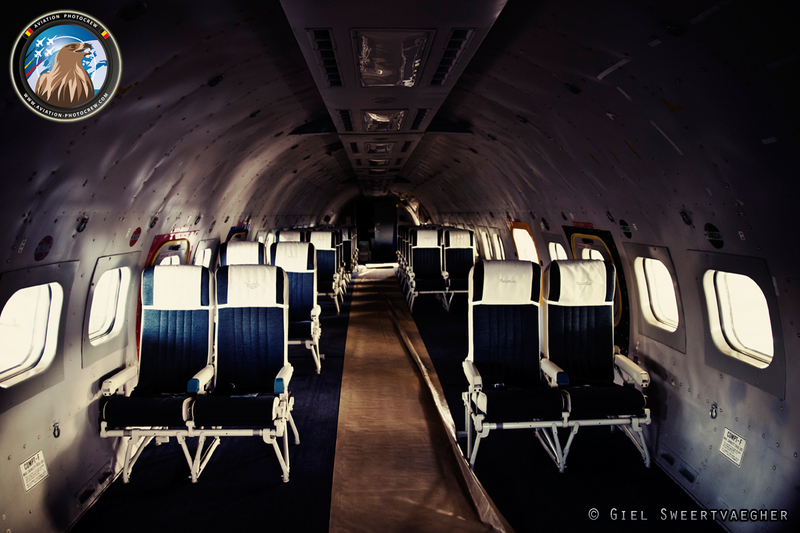 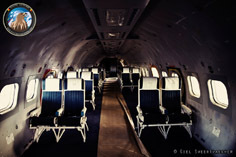 We were welcomed to have a close look outside the aircraft, as well as inside the huge cabin, and off course the cockpit. 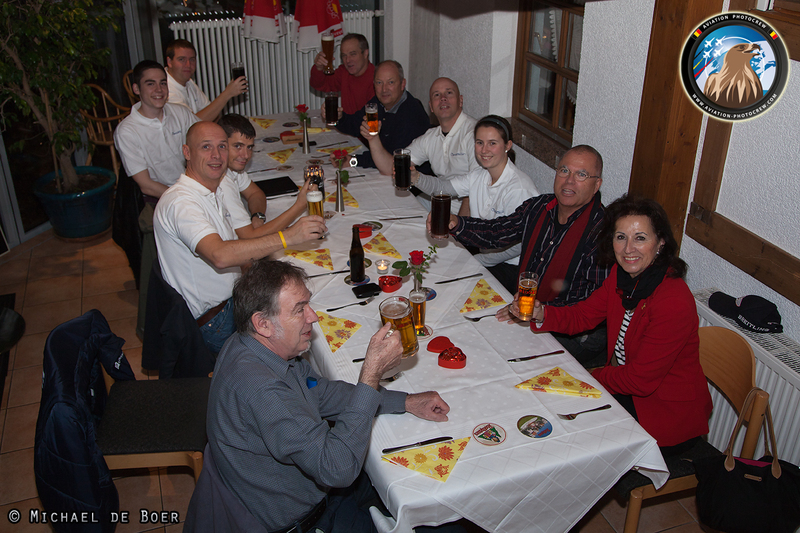 After checking into the hotel, the whole group went to a local restaurant to have a great dinner and have a great evening together, dreaming of great future plans. 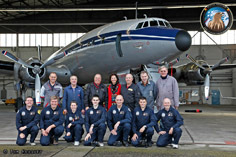 The second day it was time for some good group photographs in front of the Connie. 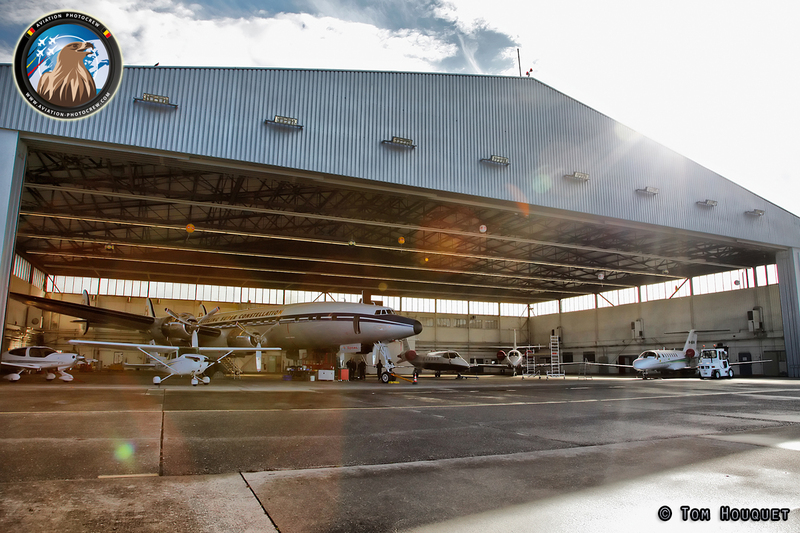 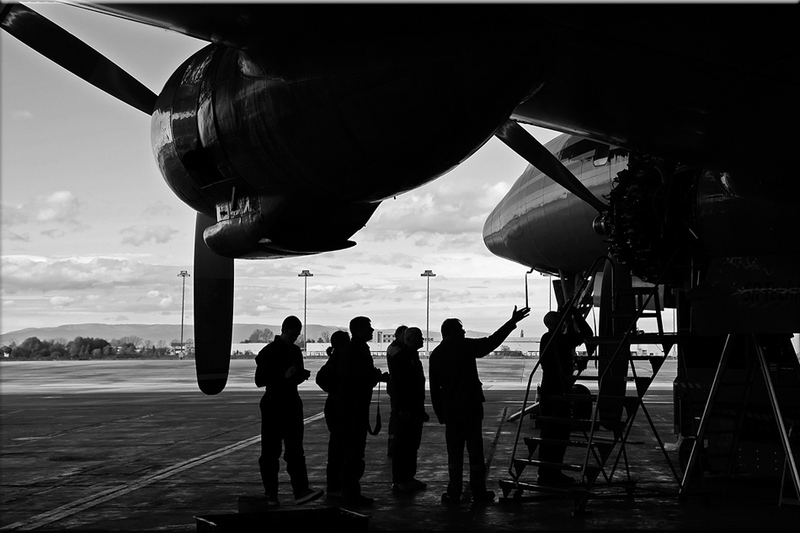 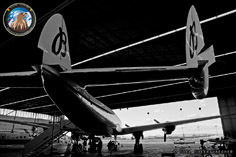 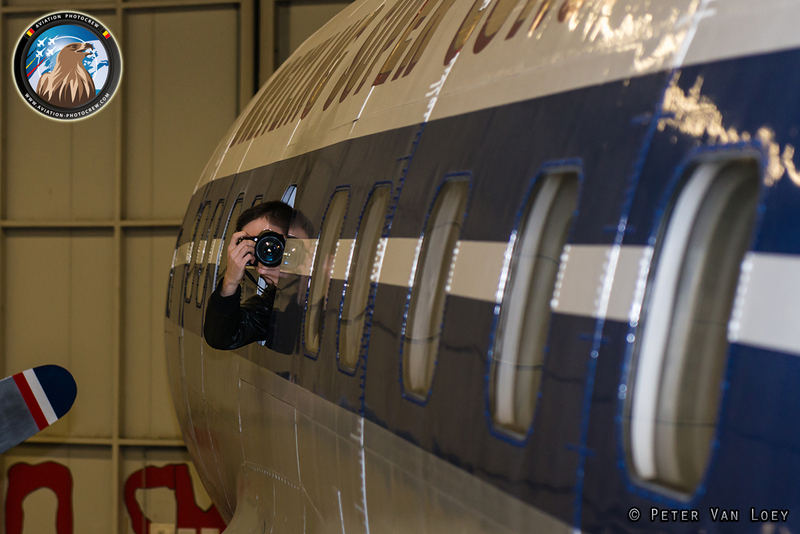 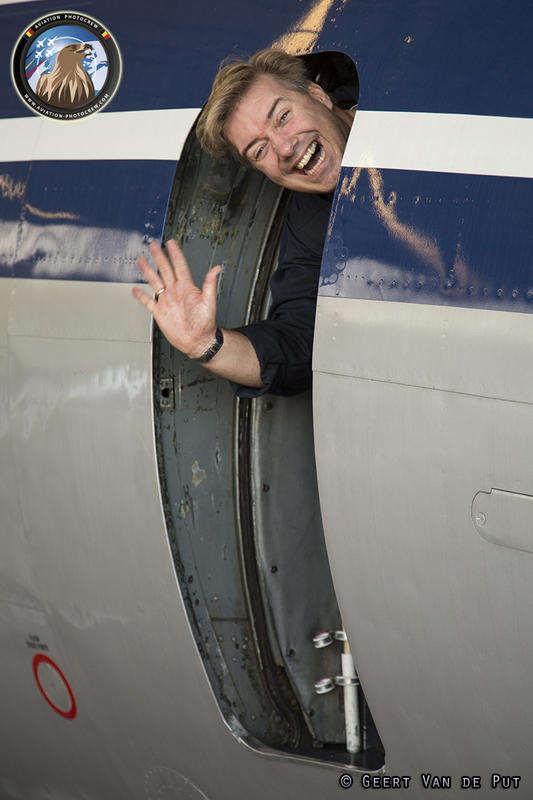 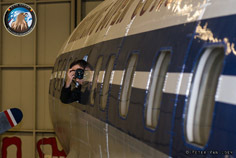 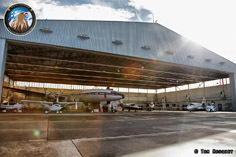 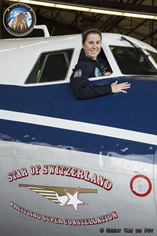 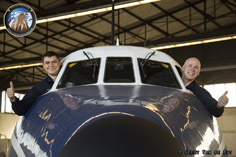 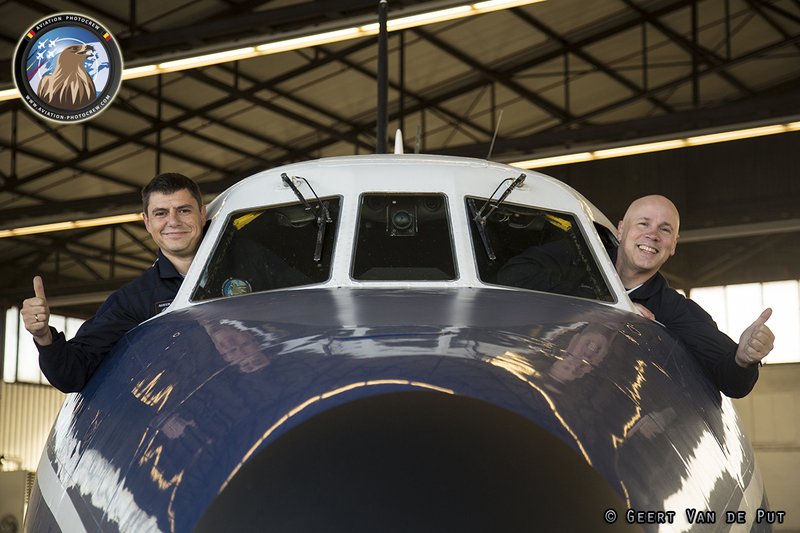 The hangar doors were opened and cameras were clicking. 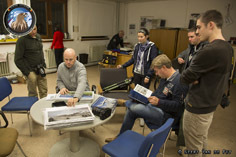 As its very hard to get the whole photocrew together at most events, the occasion was used to make some photocrew shots as well, in official uniform. 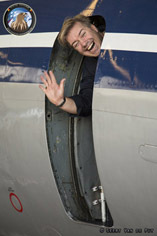 After two wonderful days, it was time to say goodbye again and make the long journey back home. Two days later, a great milestone was reached as the Connie made its first successful flight to Zurich after the installation of the overhauled engine. 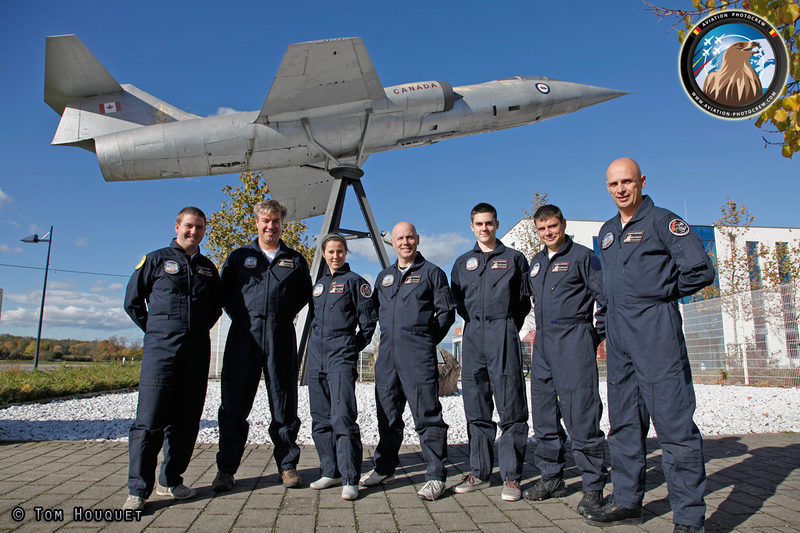 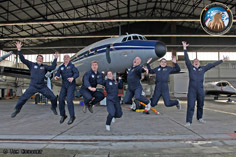 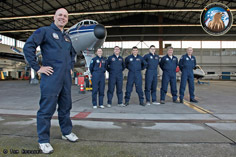 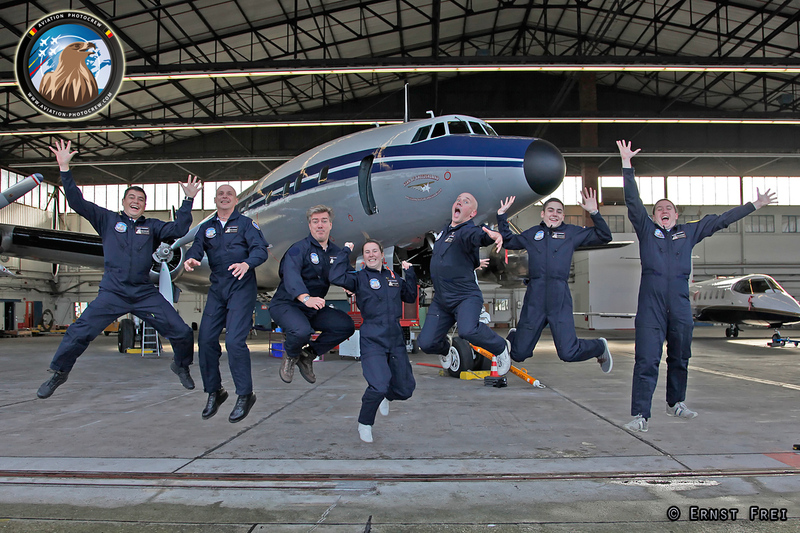 We are very keen to welcome the Connie and its crew to Belgium in 2013 for a return visit and hopefully making loads of great pictures of the Connie in the sky! 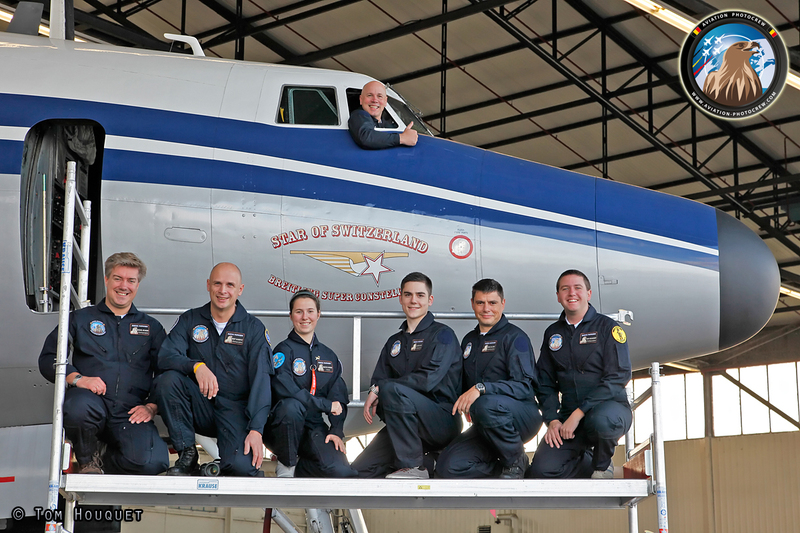 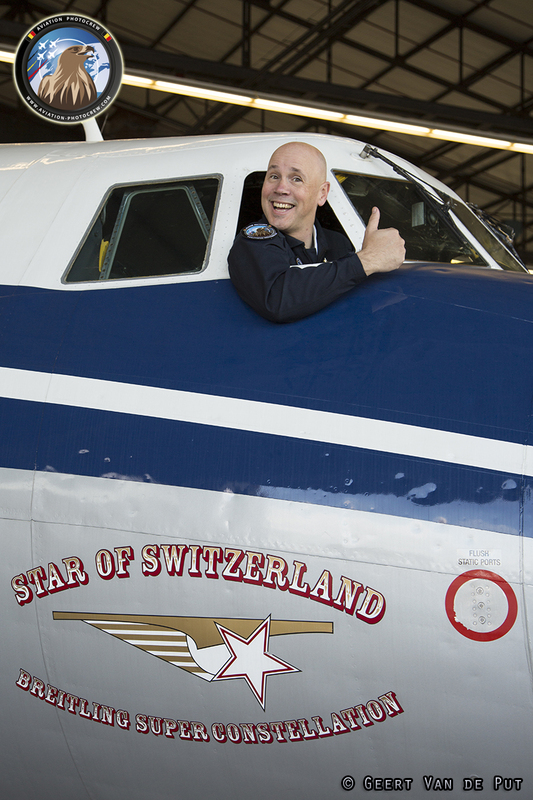 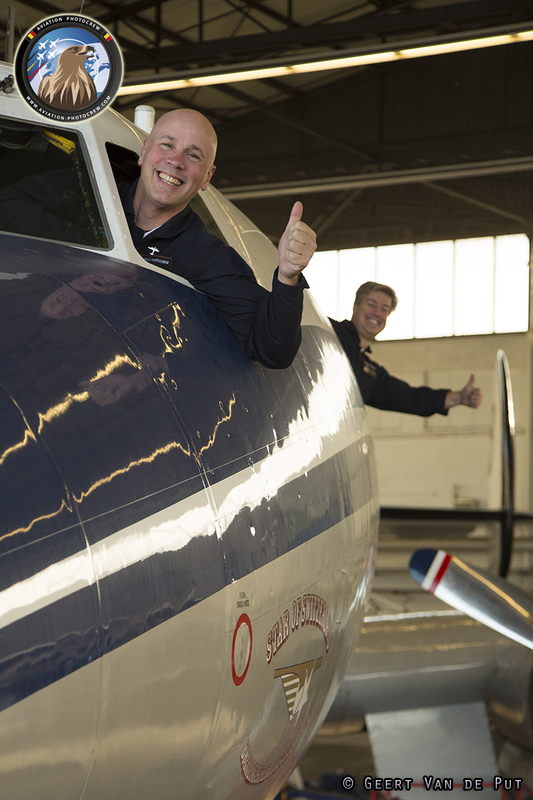 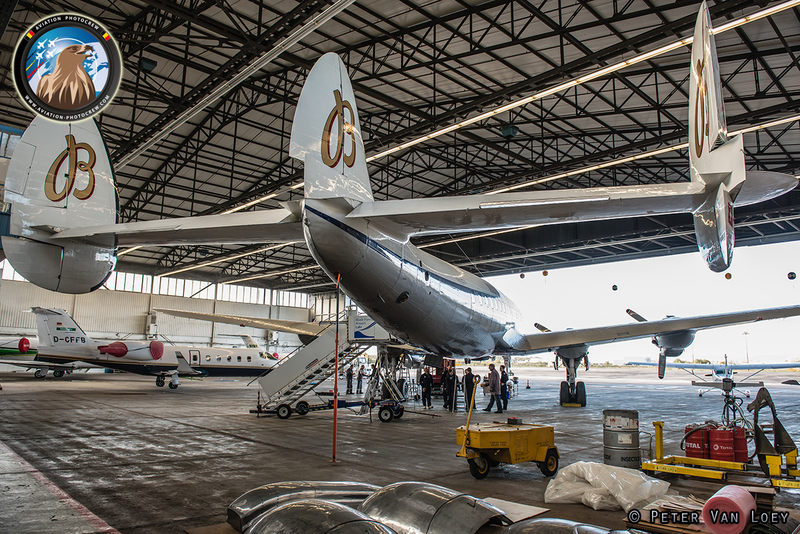 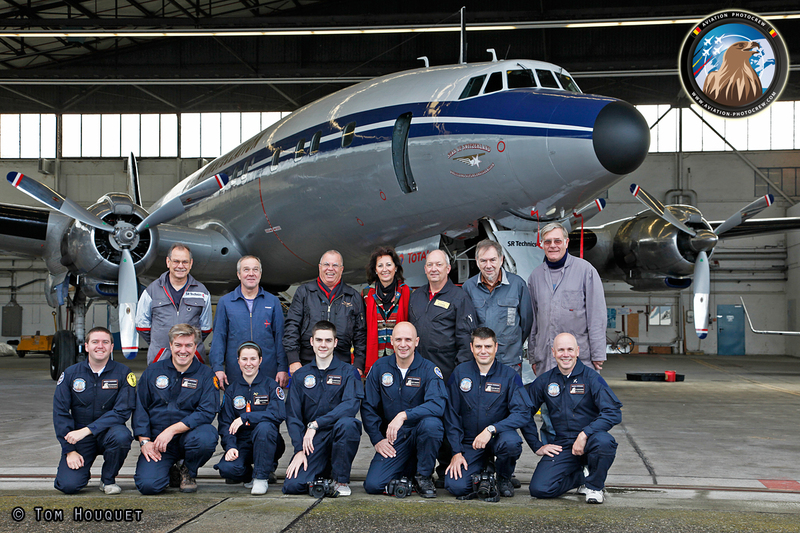 We would like to thank Ernst and the whole Breitling Super Constellation Flyers Association for their great efforts to keep this bird into the European skies, and for their great hospitality during our visit, see you all next year in the Belgian skies!